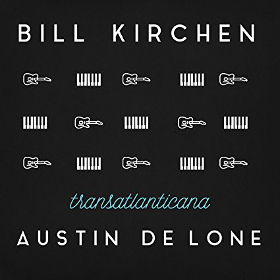 Bill Kirchen seems to never get his proper due when the discussion turns to some of the best musicians to ever grace their talents upon the country music discipline. It may be partly to do with the fact that Kirchen’s primarily known for his efforts with Commander Cody and his Lost Planet Airmen, and the wild-assed outfit was embraced just as fervently by the rock world as it was country, and was synonymous just as much with the West Coast as it was with Austin, TX, and never really became sizable enough to make it a household name. 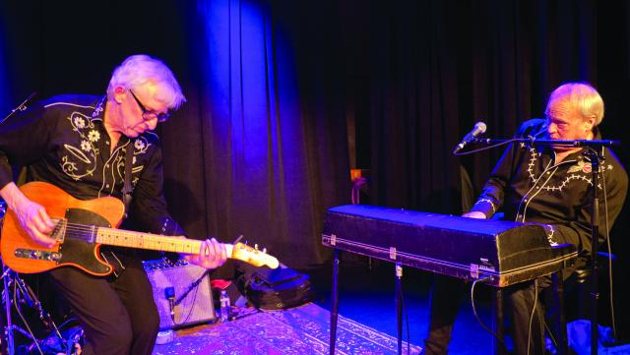 But Kirchen has certainly earned his moniker of the “Titan of the Telecaster,” and after Commander Cody was decommissioned, Kirchen’s work with The Moonlighters and Nick Lowe added a whole new dimension to his musical legacy. Not much that Kirchen has been involved in during his now nearly 50 years in the music business ever ascended to the stately penthouses at the top of popularity, but you’d be hard-pressed to find a record collection from anyone even remotely cool in the music business without something that features Bill Kirchen in the credits. To some British pub rocker Austin De Lone may seem like a strange bedfellow to pair up with Bill, but the two have been collaborating for over 30 years now, beginning with The Moonlighters and the Nick Lowe projects. Just as Bill Kirchen was the country twang compass for country rock’s Commander Cody, Austin De Lone was the keyboard-playing rock maestro for the country rock outfit Eggs Over Easy. Both their sensibilities and respective expertise make them a complimentary pairing that just downright works, and that is evidenced in their new album together entitled Transatlantica, named for the cross-pond nature of their collaboration. Frankly, you see records like this released all of the time from aging artists with recognizable names that might be looking to fulfill a promise they made to themselves or to keep from getting bored. But one of the things about Kirchen and De Lone is they never stopped being hungry. Transatlantica is fun, energetic, diverse, and despite a handful of recognizable covers, quite original in its scope. The recording is even a little bit rough in spots as far as the tightness of the music, probably due to the fact that the album was recorded partly in Austin, and partly in London. But it has that authentic Austin country rock energy and uniqueness to it that made the Texas Capital the bell weather for originality back in the 70’s. Kirchen and De Lone trade lead vocals and songwriting credits, while working in some recognizable cuts to make it easy for you to follow along, including Commander Cody’s “Wine Wine Wine,” the solemn and sad “Think It Over” that Kirchen sings the hell out of, and the gospel song, “Somebody’s Going Home.” There are also some homages paid to Bill and Austin’s counterculture past with “Back In The Day” written by Kirchen’s wife, and a rendition of “The Times They Are A-Changin’ ” that’s curiously energetic, heartfelt, and fresh, just like all of the tracks on this record. The songs that really stand out though are the opening track called “Hounds of the Bakersfield,” which they’re calling a tribute to Merle Haggard, but is otherwise just a badass West Coast country tune, and the pretty spellbinding “Already Walking,” which is really the gem of the album. Written with the help of De Lone’s daughter Caroline and inspired by a year of tragedy, it feels like a lost classic that hopefully won’t get overlooked in the track list. Transatlantica is fun and interesting to listen to, with something different at every turn, a lot of heart turned in from everyone involved, and strong ties back to when new music from Austin, TX was interesting and forward-thinking, yet still respectful to the traditions of both country and rock n’ roll. Bill is also, by every account, a fine and helpful guy. Also an excellent lyric writer, and a tele tone to die for. Glad you are covering this. Bill is a telecaster master and those of us in the know consider his work an important part of American music. Bill inspires many to learn guitar and his solo records have been excellent. I’m sure your pop country fans will ignore this article entirely ; their loss. This is real music for real music fans. Btw : I caught Commander Cody live a few years ago and he is still sounding great!! If you want to hear a good starting point for Bills work check out Hot licks, Cold Steel and Truckers Favorites by Commander Cody and his lost Planet airmen. I’ve seen Bill perform a couple of times. He’s an amazing musician and a down-to-earth nice guy that ought to be more well known. I saw Bill play at the American Folk Festival in Bangor Maine. It was just such a beautiful day and the music was so good. I remember he did this song medley of about 50 different guitarists and their style.